Last week, Youth Farmers in Frogtown found lots of worms crawling in our garden beds. Some Youth Farmers were even brave enough to pick up the worms and pose for the camera. 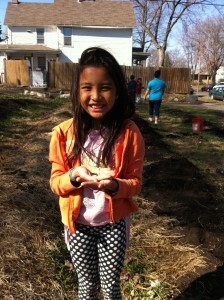 Pa Saw holds a worm that she found in the garden. 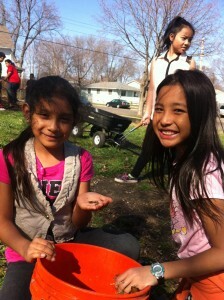 Jocelyn and Pa Saw collect worms in a bucket. 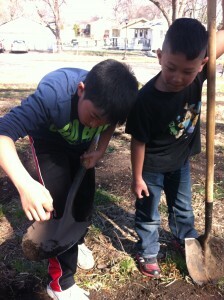 Payton and Maxwell dig for worms in the dirt. Cooper Leeks liked this on Facebook. Jamie Steckart liked this on Facebook.